It was without doubt the wedding event of the year and London based wedding cake makers Sweet Hollywood have put together this blog with some great images of the happy couple! 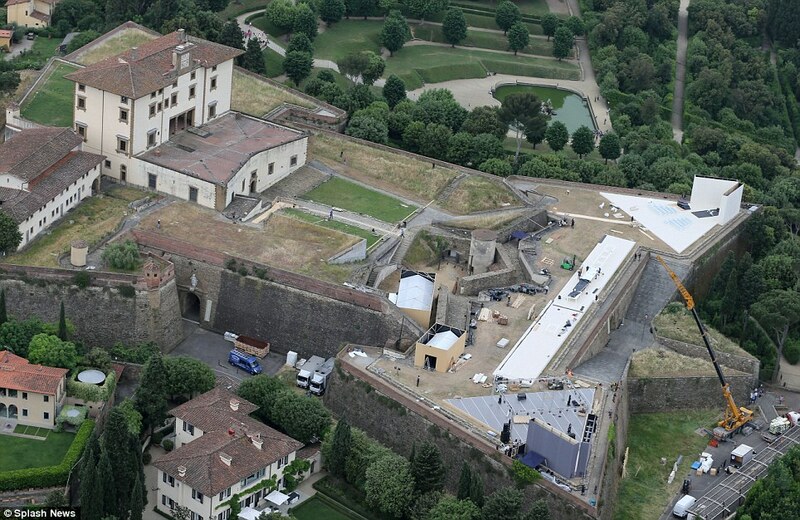 Now, the first official photos of Kim Kardashian and Kanye West’s lavish Italian ceremony, that took place on Saturday at the Forte di Belvedere in Florence, have been revealed by Sweet Hollywood in this blog. In the first picture, the couple look absolutely over-the-moon as they kiss in front of their closest family and friends, standing by a huge wonderwall of flowers, moments after saying ‘I do’ and exchanging their Lorraine Schwartz wedding bands. They do! 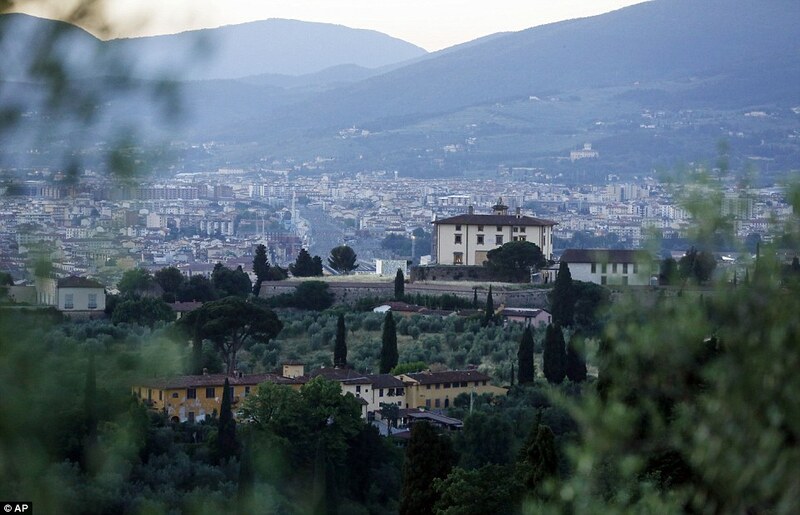 Kim Kardashian and Kanye West are seen kissing on their wedding day just moments after saying ‘I do’ on Saturday at Forte di Belvedere in Florence, Italy. The mermaid-silhouette gown that featuring delicate white lace was custom-made by Givenchy Haute Couture. Small panels of a sheer lace decorated the arm and also accentuated her slimmed down waist. The backless dress was long-sleeved with a train, while a dramatic flowing white cathedral-length silk veil completed the look. The bride’s hair was worn loose and long, with her make-up restrained and flawless. 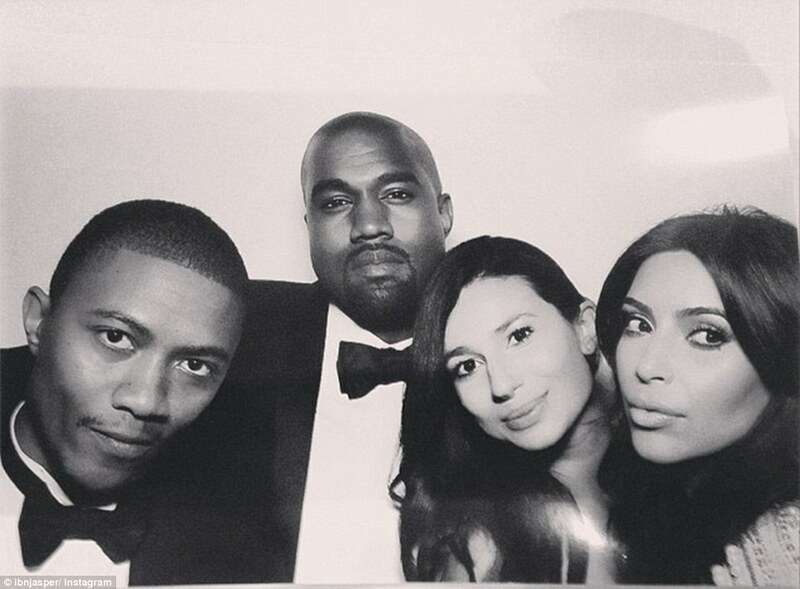 There has been a frenzy surrounding the Kimye wedding and it was all worth the wait. 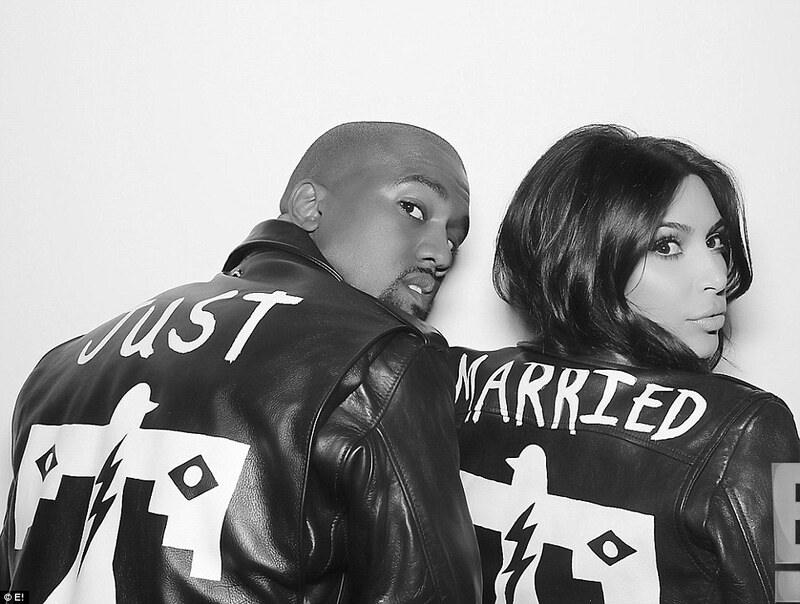 After months of planning and hype over their nuptials, Kim Kardashian finally became the proud Mrs. Kanye West! But what was more anticipated than everything else was THE dress. Would it be McQueen, Balmain, Valentino? Well, we can finally reveal (drum roll please), that the dress was made by the couples’ close friend, Riccardo Tisci and was a Givenchy Haute Couture gown. The lace long-sleeved dress was seriously drool-worthy and even featured a cut out back. Of course, hers is bespoke and way beyond our budget, but to ensure you brides-to-be at home walk down the aisle in style, we’ve rounded up our favourite high street wedding dresses. And you’ll be pleased to hear they are all under £1000. This Phase Eight gardenia number has left us feeling romantic – we think Mrs. West would approve! But if it is longer sleeves you’re after like Kim, this Monsoon embellished option is for you. 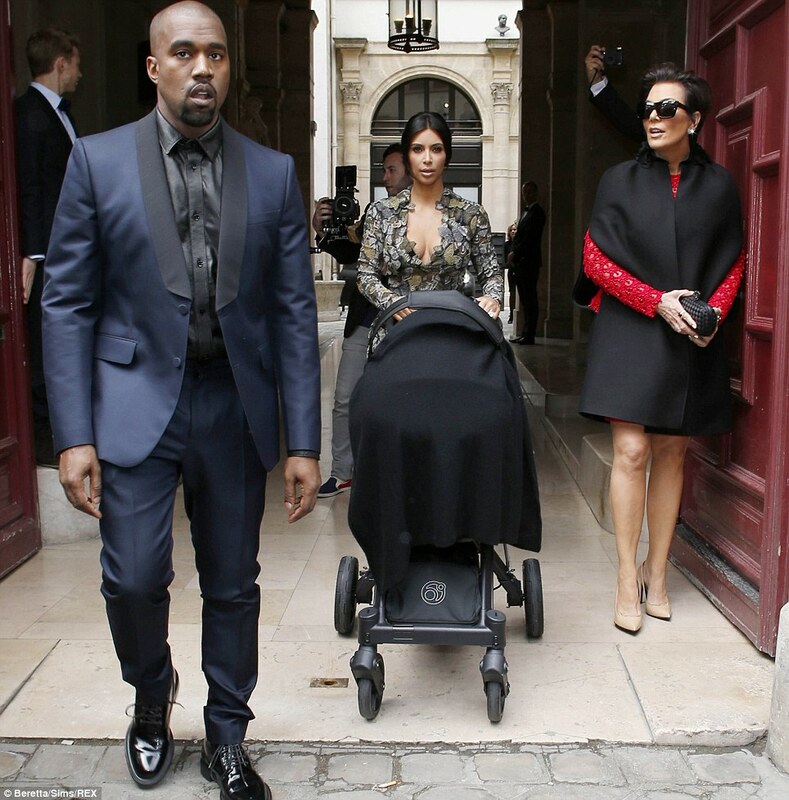 Guests stood as Kim came face to face with her fiancé, who wore a black custom-made Givenchy suit. The couple gazed at one another as the vows were said under the direction of Rich Wilkerson Jr, a pastor from North Miami. Kim’s bridesmaids, her sisters Kourtney, Khloe, Kendall and Kylie were all dressed in white, although their dresses did not match. They sat front row next to mother-of-the-bride Kris Jenner, also in white, and Bruce Jenner, who like most of the male guests wore a black suit. Grandmother Kris held baby North on her lap, while Kourtney had little Penelope on hers. And in the first wedding pictures, Kim’s adorable daughter is seen watching as her parents walk down the aisle after getting married. Speaking moments after the ceremony to E! News, who film the family’s reality show Keeping Up With The Kardashians, Kris said she was ‘beyond bursting with happiness for Kim, Kanye and baby North’. And Kanye seemed equally ebullient, with a source telling MailOnline he gave an eight-minute speech to the gathered guests. ‘I just wanna stop the music a second ‘cos my baby’s coming back with a new dress on. 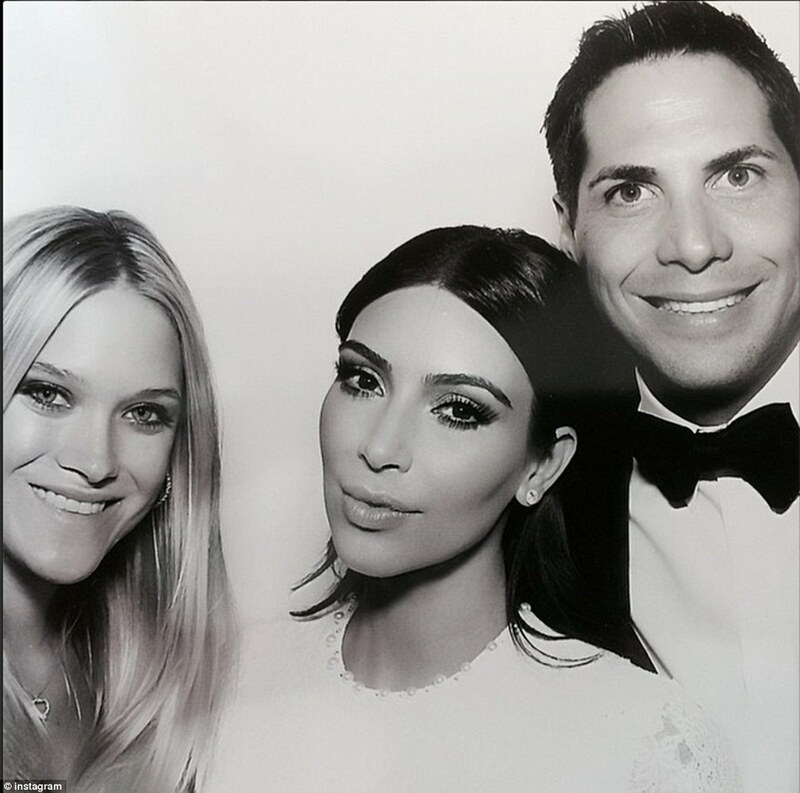 Here she is – Kim Kardashian West,’ he said, introducing his bride. After the ceremony, the guests broke bread together sitting family style on a 70-metre-long marble banquet table – a gift from master craftsman Gualtiero Vannelli who used marble from the Tuscan quarry in Carrara, according to Us Weekly. 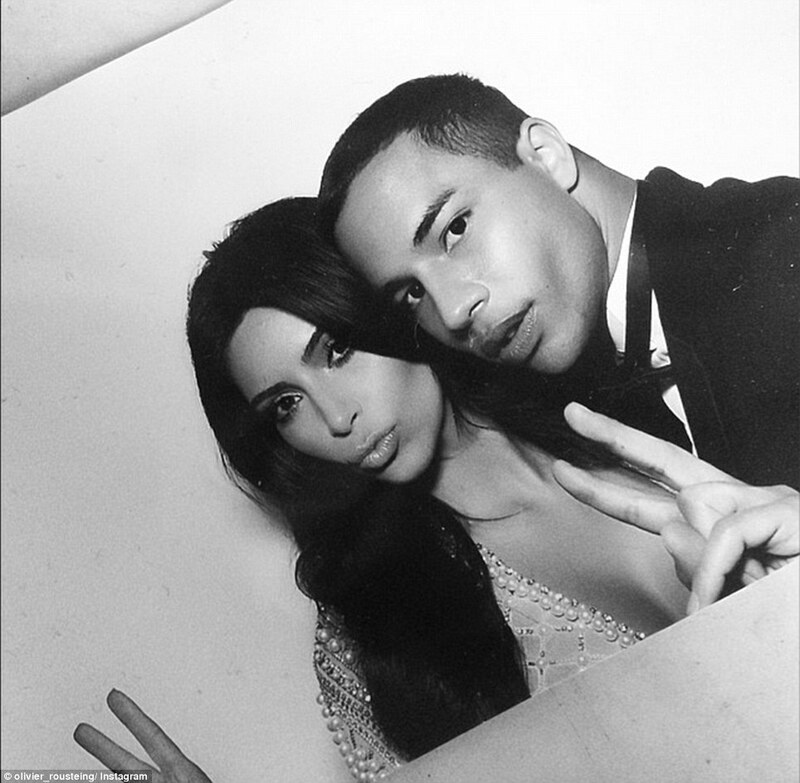 Crazy In Love: In another intimate snap, the newlyweds are seen kissing in the wedding photo booth shortly after their nuptials took place. And as Kim finally relaxed her strict low carb diet, they feasted on traditional Italian food with an ‘innovative’ twist. The menu included chicken, salmon, steak, tortelloni, strawberry gelato and both rose and gold Armand de Brignac champagne. The food was color-coordinated with pink being the theme. And the meal culminated with a towering seven-foot wedding cake of white sponge and white icing with fruit layers, reports People.com. They sat front row next to mother-of-the-bride Kris Jenner, also in white, and Bruce Jenner, who like most of the male guests wore a black suit. randmother Kris held baby North on her lap, while Kourtney had little Penelope on hers. 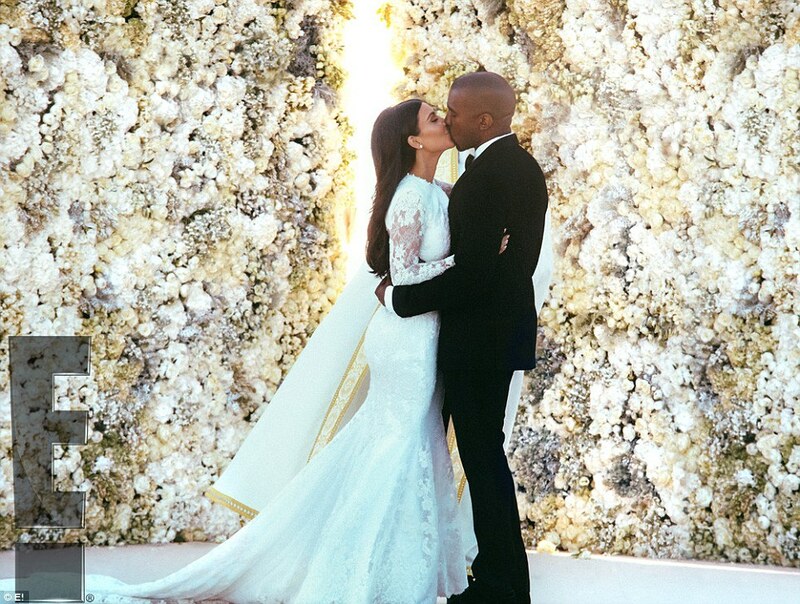 During the ceremony famed Italian tenor Andrea Bocelli serenaded Kim and Kanye with several of his songs, including Con te Partiro. 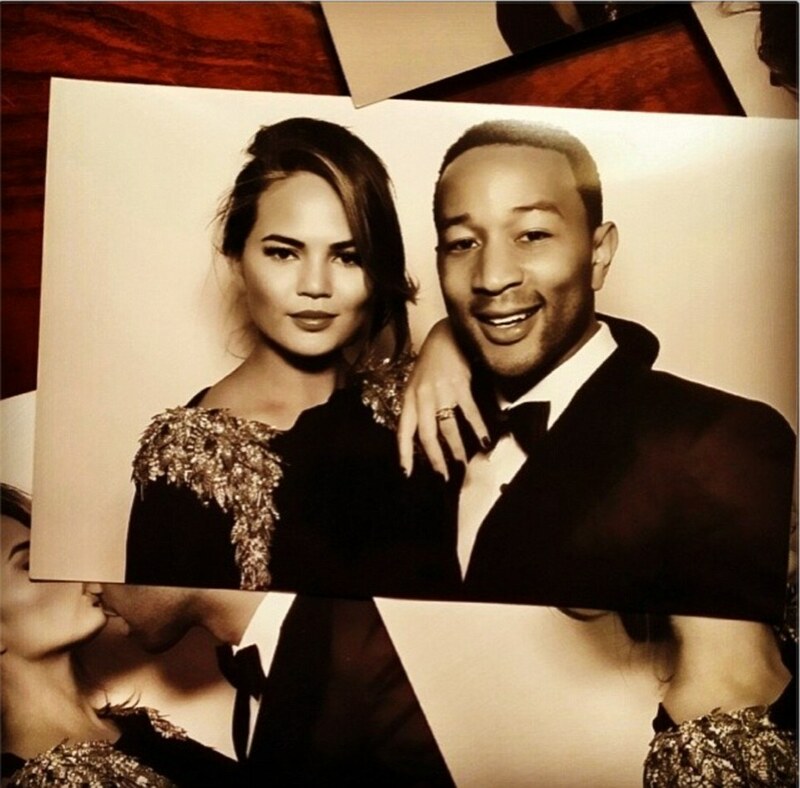 Then pop star John Legend took over festivities as the party began in earnest. 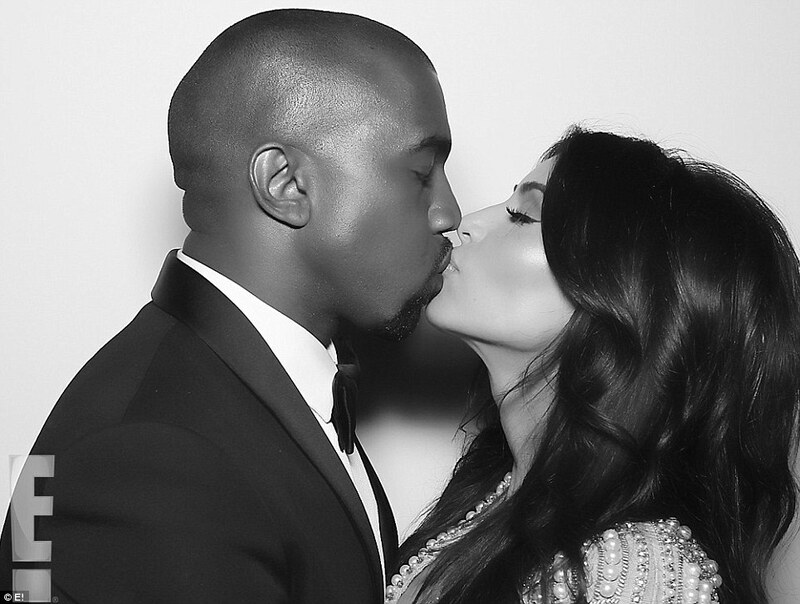 Kim is said to be a ‘huge fan’ of the 27-year-old singer and Kanye hired an orchestra to play her hit Young And Beautiful when he proposed to the reality show star at the San Francisco AT&T park last October. From inside the party Giancarlo Giammetti, the honorary president of the Valentino Fashion House, shared snaps of the happy couple as they took the stage to greet guests. The behind the dress! 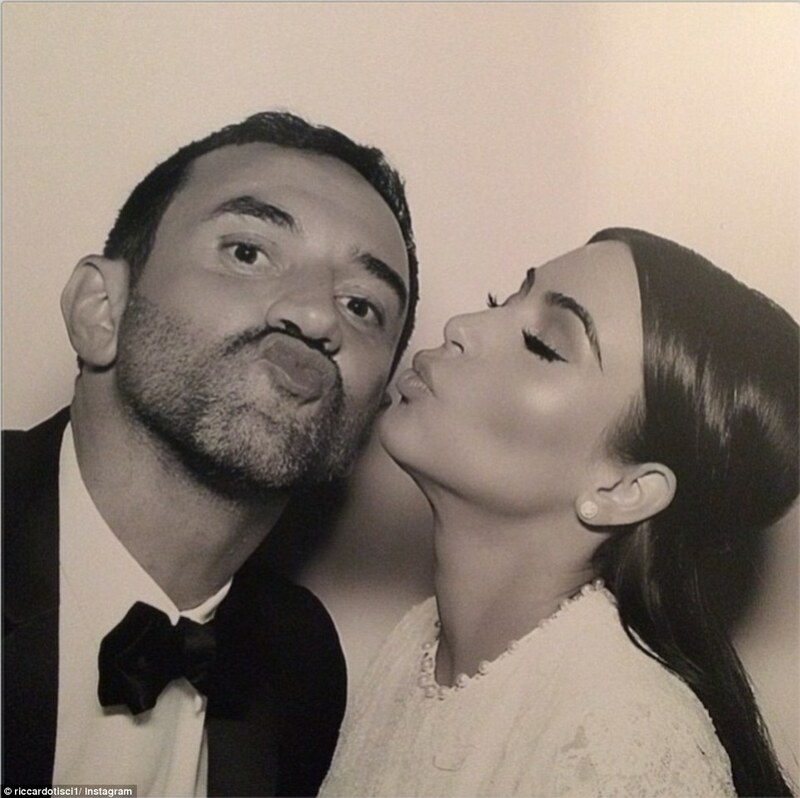 Kim kisses Riccardo Tisci, who helped design her Givenchy Haute Couture wedding gown Another previously unseen wedding booth photo, shows Kim and Kanye wearing matching leather jackets that read ‘Just married’ and the BLK DNM jackets were customized especially by designer Wes Lang for the event.The day before the guests were invited to a lavish pre-wedding dinner at the Palace Of Versailles, where fireworks were said to have been fired off over the grounds during Lana Del Rey’s performance as female musicians wearing Marie Antoinette-inspired frocks and wigs were seen preparing to perform. 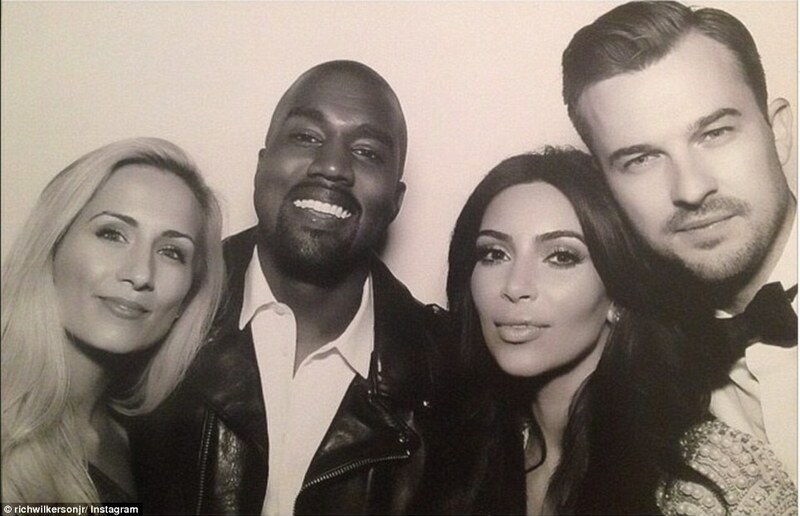 Lana Del Rey supplied the entertainment upon Kanye’s special request, with her song Young And Beautiful and went the extra mile by performing three songs in total. 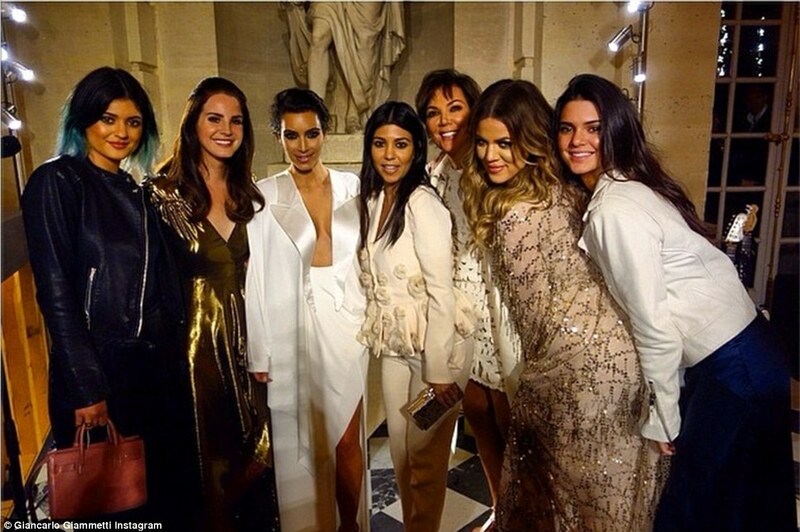 Serenaded: Kim was surprised by Lana Del Rey (seen here posing with Kylie, Kim, Kourtney, Kris, Khloe and Kendall) on Friday night who sang a three song set for her and Kanye! Giammetti posted a family portrait of the bride-to-be with her mother Kris Jenner and sisters Kourtney, Khloe, Kendall and Kylie and singer Lana with the caption: Keeping up with a great family’. 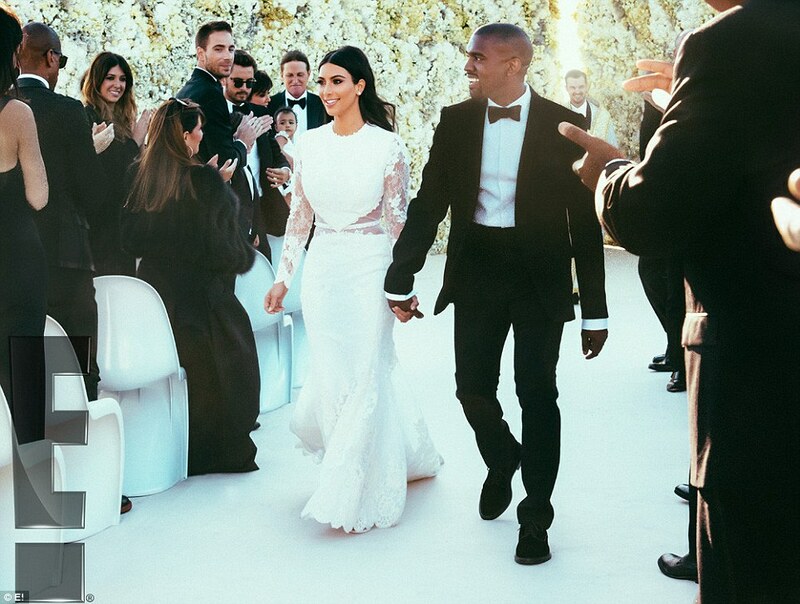 The fashion maven even captured a rare moment with Kanye smiling as he gazed lovingly at his fiancee as they greeted guests within the Hall Of Mirrors. 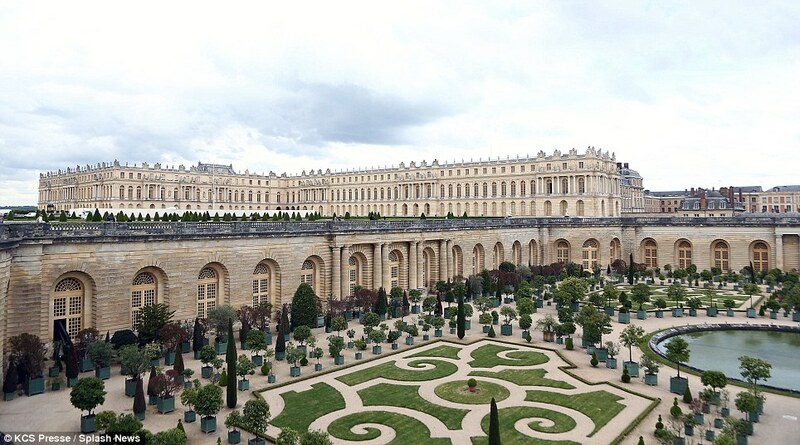 Earlier on Friday, the family enjoyed a luncheon at Valentino’s Château de Wideville, a stately castle located in Davron (30 minutes outside Paris). 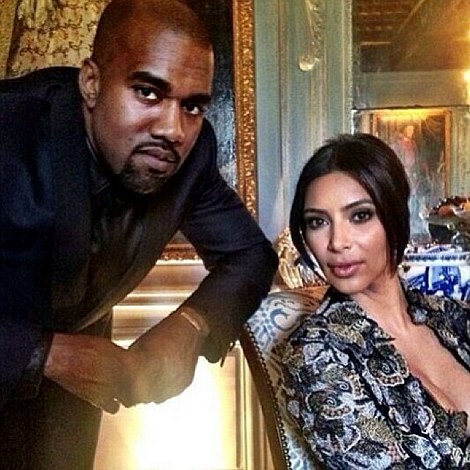 Once the wedding was over, Kim and Kanye then headed to Ireland for a rumoured five-day long honeymoon. E! 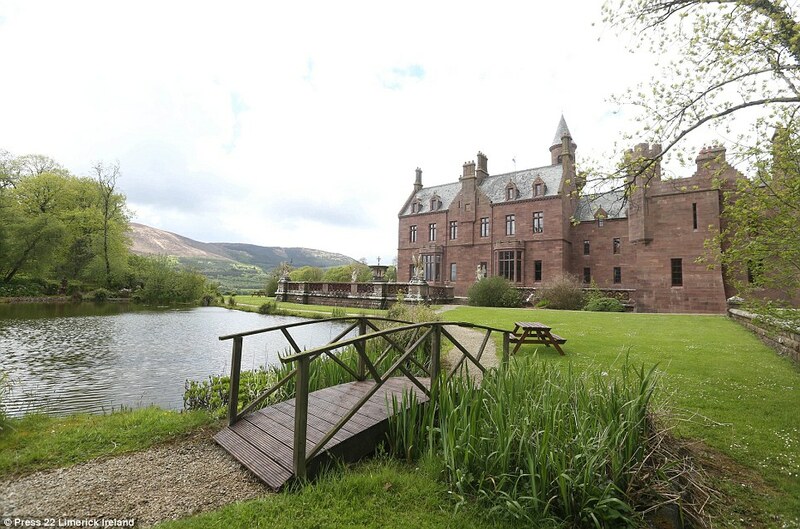 have reported that the couple visited the Victorian estate Castle Oliver in County Limerick, which is said to include master suites in stunning surroundings. 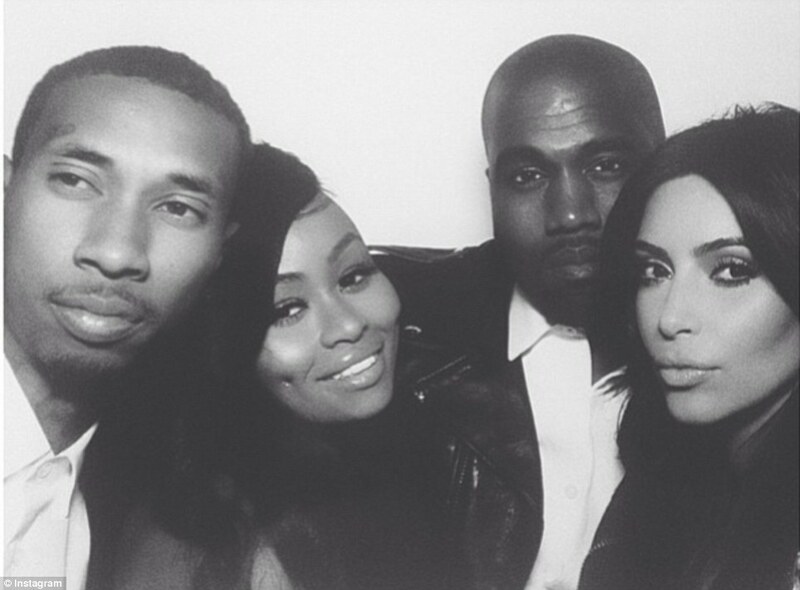 This weekend, the pair are said to be jetting to Prage where for the wedding Kanye’s stylist.